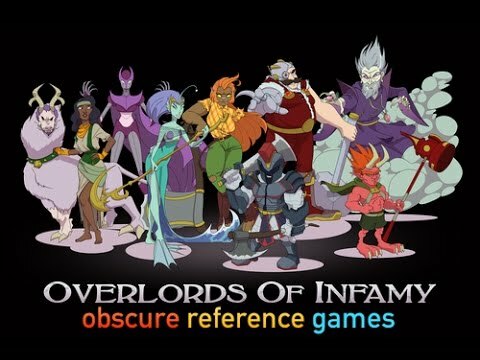 In Overlords of Infamy, you take on the role of an Evil Overlord with a personal goal of making your subjects as miserable as possible, while other overlords are doing the same to their subjects. You accomplish this by harvesting a variety of materials to complete myriad Nefarious Plots ranging from "Steal Candy from Babies" and "Make Everyone's Socks Slightly Damp" to "Blow up the Moon!" and "Divide By Zero". All the while, an annoyingly righteous Adventuring Hero from the Kingdom of Good crusades around trying to thwart each Overlord's plan. You'll find that your actions have consequences as the World's tension builds up and culminates in random global event that can either be catastrophic or beneficial. 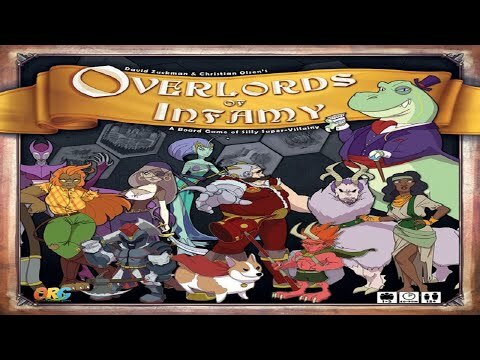 Complete your plots, stave off the competition, and repel the Adventuring Hero and you just might be denounced the Overlord of Infamy!